I would like to describe my idea as though it is already developed and is being released in the market. The following is a marketing material of an imaginary product. Thoughts are everything. Ever wondered what was the origin of a multi-million dollar company, a space craft, an iPhone or Facebook? It all originated in someone’s mind as a thought. Whatever man made things that you see in the word was at some point in time just an idea, just a thought. Thinking is the only sense that separates us humans and makes us superior to all other animal species. Thoughts have great power, it has both positive and negative influences. While it is true that all the great and wonderful things that man has ever made originated as a thought, we cannot ignore the fact, all war, weapons of mass destruction, terrorism, greed and poverty are also results of thoughts and its effects. Humans have around 50,000-70,000 thoughts per day, this means between 35 and 48 thoughts per minute per person. We are thinking beings. But most of these thoughts are repetitive and arise from what we have learnt or from our past circumstances. Repetitive thoughts become actions, habits and finally beliefs. It is agreed by science, religion and new age thinkers all around the globe, that what you think impacts your health, wealth and well-being. A billion-dollar empire is set up on the idea of self-development, wealth generation and health improvement through positive thinking. The mass media and social media constantly bombards us with negativity, news about war, recession, corporate greed, corruption, murder and so on. Since our minds are influenced by what we see and hear, we imbibe those thoughts subconsciously, which in-turns influences our health, wealth and emotional well-being negatively. The need of the hour is to make conscious effort in creating thoughts of whatever is true, whatever is honorable, whatever is right, pure, lovely, admirable, excellent and praiseworthy. Conscious thinking is the toughest job in the world. We know for a fact, that you are already aware of the power of your thoughts and what you can create with your mind. Everybody is talking about positive thinking, generating joyous, happy and good emotions. But how do we do that? It’s easier said than done, you say. No longer, now you can know what exactly you are thinking, you can monitor your emotions. You can consciously generate and feel positivity. Bliz technologies has made this possible with our latest innovation ThinkThank a wrist band which constantly monitors your heart rate, body vibrations, stress level and tells you how you are feeling, positive or negative. •	Synchronizes with a mobile app (Ios, android or windows). •	Live positive meter. The more positive you think, the meter reading increases. •	Allows you to set and achieve positive goals. Set positive thought to 20, think 20 positive thoughts and achieve the goal. •	Identifies negativity and indicates it. •	Motivates you to stay positive by playing an uplifting video or audio, or displaying positive nuggets and tips. •	Allows you to network with positive groups to share and learn. •	Since your body’s response to emotions differ from person to person, allows you to record a feeling and map an emotion (sad, happy, bored, depressed, excited...) to it, next time you exhibit the same conditions it displays the emotion. •	Provides historic data of how you have been feeling for the past week, month or year. •	Links to a library of resources and tools to achieve your life goals. • Physiological arousal: The physiological changes the body goes through as a response to an emotional event. These changes include alterations of heartbeat and breathing rates, body temperature and skin conductivity, among others. • Motor expression: These are changes in facial and vocal expression as well as gestures and posture. They are thought to be a way of communicating an individual’s state and its corresponding behavior intentions to the other members of the group (Scherer 2001). These responses can be both conscious and unconscious. • Subjective feeling: Refers to the fact that the individual is aware of the emotional episode and can describe it through the use of a rich emotional lexicon to easily communicate his response to certain stimuli. •	Existing Motivation / Self-help enterprise. •	Men and women of all ages. http://www.affectiva.com/technology/ - they use facial pattern recognition only. 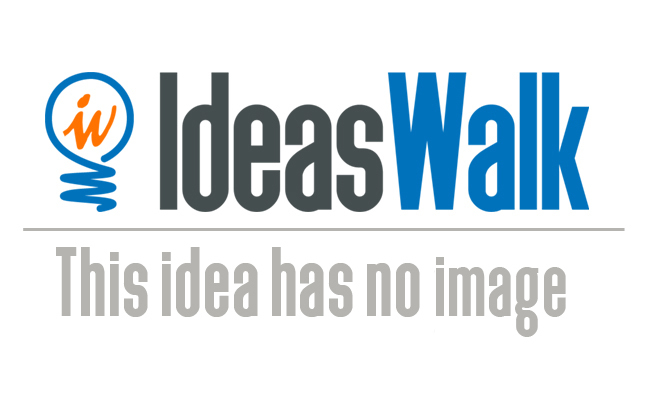 IdeasWalk - share your ideas for new products and services. Get discovered by big companies. Talk to brands and make a difference by co-creating a smarter world.